Item # 296389 Stash Points: 1,799 (?) This is the number of points you get in The Zumiez Stash for purchasing this item. Stash points are redeemable for exclusive rewards only available to Zumiez Stash members. To redeem your points check out the rewards catalog on thestash.zumiez.com. 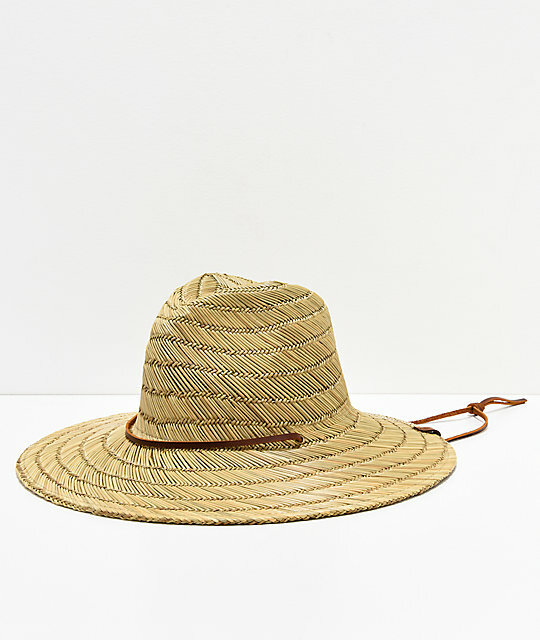 Shield your head from the sun with the Bells Fedora Straw Hat from Brixton. This 100% straw hat features a full brim fedora silhouette and includes an adjustable leather drawcord for a secure fit. 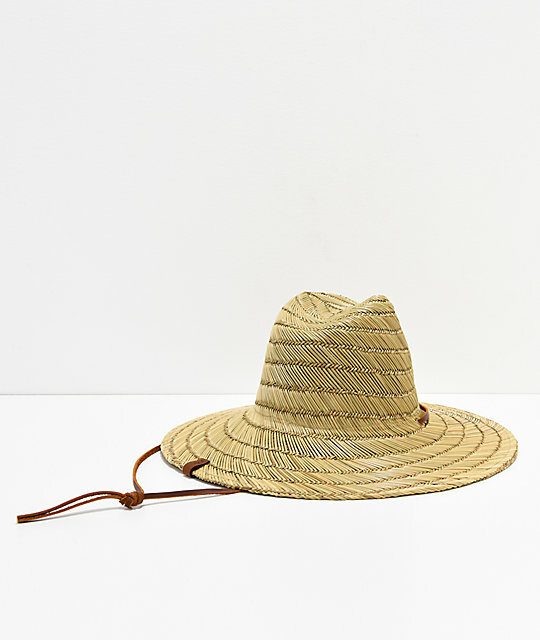 Bells Fedora Straw Hat from Brixton. 2 metal eyelets at the crown. Leather brand tag on the brim.